There were two important reports on the U.S. economy released this morning. 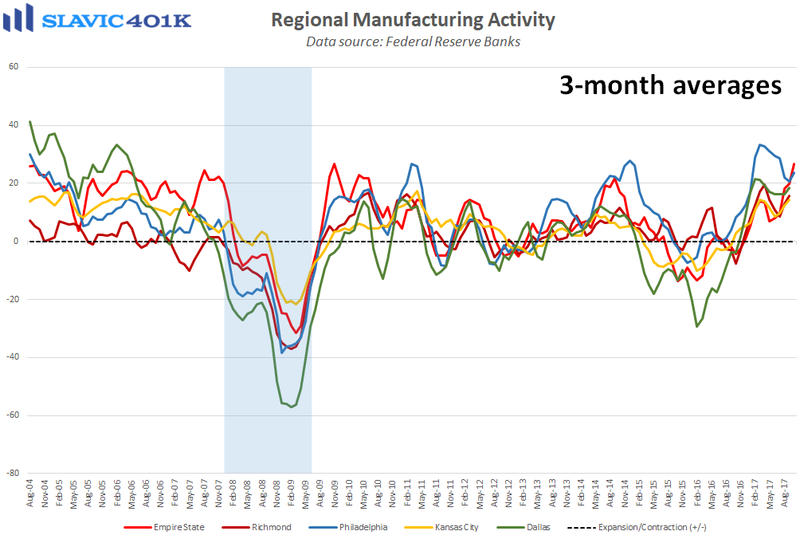 First, manufacturing activity in the Mid-Atlantic region of the country firmed this month, according to new data from the Federal Reserve Bank of Philadelphia. 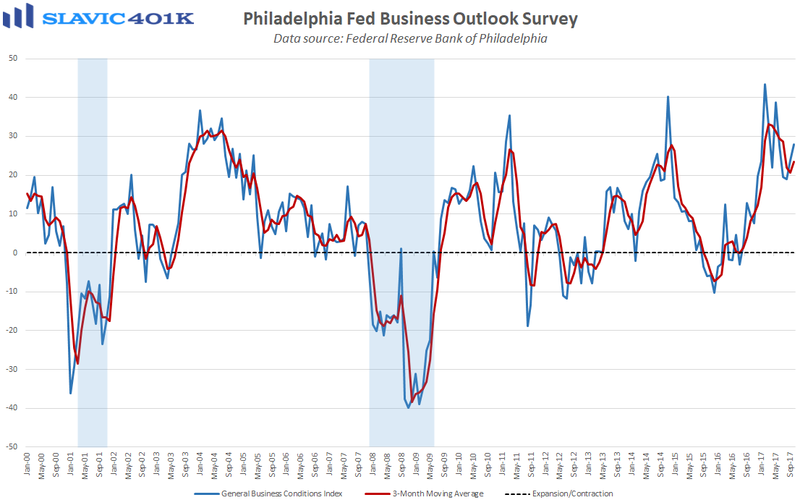 Specifically, the general business conditions index rose from +23.8 to +27.9 in October, the second monthly improvement in a row and the highest headline reading since May. Under the hood, current measures of new orders and shipments deteriorated but total employment and hours worked surged. Forward-looking indicators (six months ahead) generally softened in October, including a decline in reported capital expenditure plans. That weaker outlook could be related to the greater margin strain that many manufacturers are starting to feel as input costs continue to rise faster than prices received. 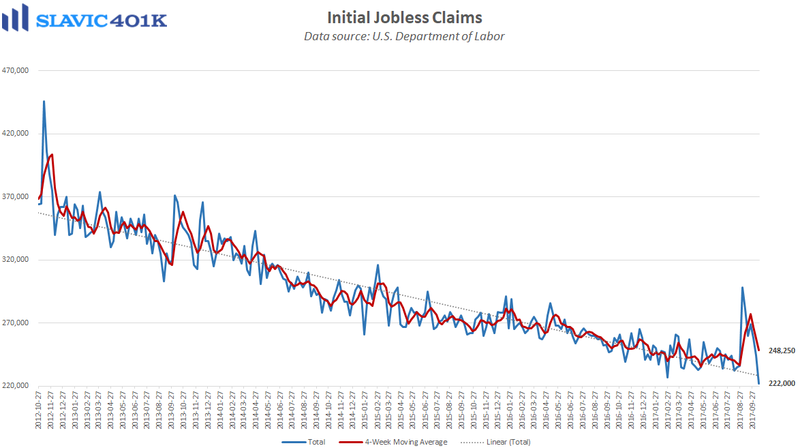 Elsewhere, a report from the Bureau of Labor Statistics (BLS) showed that first-time claims for unemployment benefits fell by 22K last week to 222K. 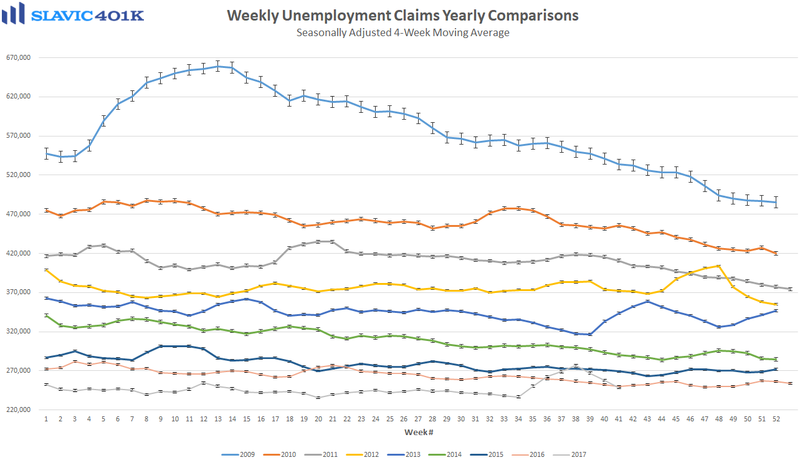 That was the biggest weekly decline in half a year, significantly better than economists had anticipated, and the lowest headline reading since 1973. 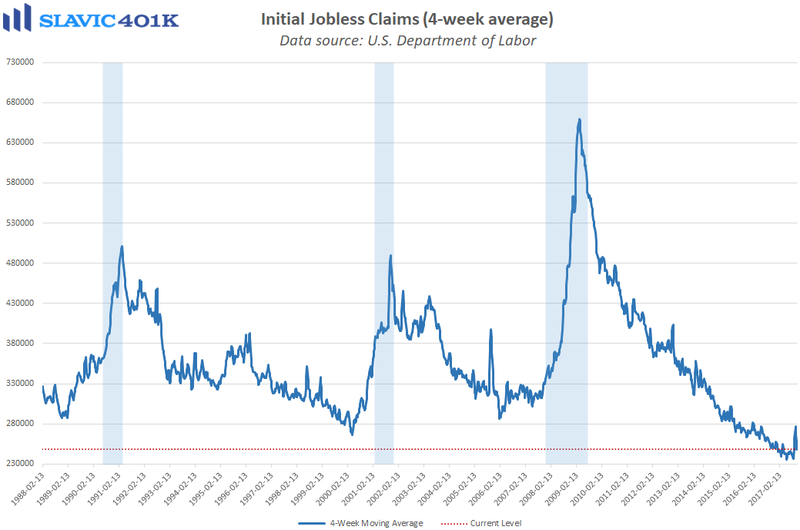 The sharp drop in initial jobless claims seen this month confirms that the post-hurricane spike was only a temporary setback. 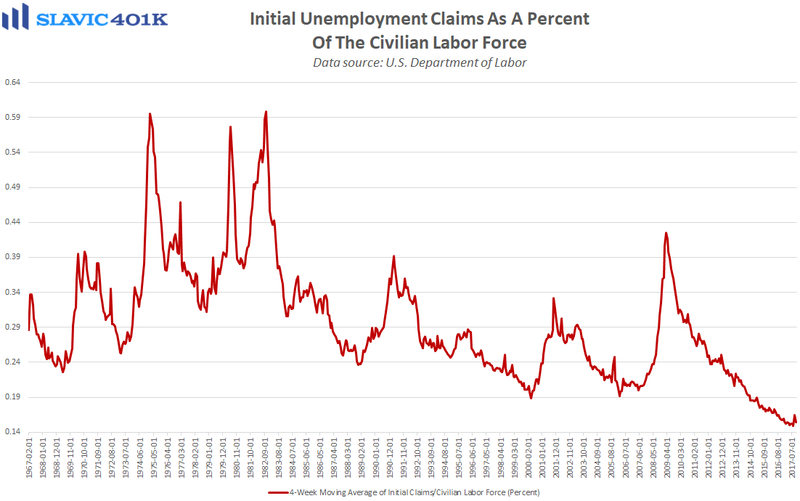 This is important because claims for unemployment benefits typically turn higher ahead of a recession, something which clearly has yet to happen.